As North American cruise operators contemplate the Asian cruise market, the region's local cruise lines are moving swiftly to develop and capture area cruise business. One visible player is Empress Cruise Lines, based in Kuala Lumpur, Malaysia, which recently announced the initial phase of two five- and six-day fly/cruise/tour (FCT) programs that will be sold in nine major regional Asian cities in Japan, Taiwan, Korea, Hong Kong and China. Collateral support will include a 24-page brochure with sections translated into five different languages. The second step of the FCT program includes targeting the Asia Pacific basin, while the final move will market the packages on a worldwide basis. Currently, the line operates overnight and multi­ day sailings from Port Kelang and Penang aboard its 580-passenger, 8,496-ton ship, The Empress, formerly the Scandinavian Song. The ship, which is being chartered from International Shipping Partners (ISP), inaugurated service in May 1994. According to Irene Ng, the line's Managing Director, 95 percent of Empress passengers hail from the vessel's respective embarkation ports. Ng anticipates that during The Empress' premier year, she will have carried 30,000 passengers for a 65 percent load factor. For 1995, Ng expects occupancy levels to increase to 75-80 percent. With the introduction of its FCT packages, Empress is looking for a 60 percent domestic and 40 percent regional passenger breakdown. "The domestic market, although providing the ship with reasonable loads, is marketed within three months of sailing. To go regional means we are able to sell our cruises on a longer lead time, as well as have a good market mix and therefore lessen our dependence on a single market," noted Ng. Empress is partnering with Malaysian Airlines, Legend Hotel Kuala Lumpur, Casuarina Beach Hotel and Sri-America Travel Corp. (SA Tours). Ng is also Executive Vice Chairman of SA Tours, which is fully owned by Ng and her family, and she said, is one of Malaysia's largest tour and travel agent groups. SA Tours, she added, is the reservations agent for Empress and also handles packaging, transfers and connections. The company also has support from the Malaysian tourist board. "We are a new product for Malaysia and the tourism board supports our efforts regionally," she explained. Major roadblocks to cruise development in Asia, noted Ng, are lack of infrastructure in airports and port cities, as well as difficulties in some cruise line/airline relationships. Ng considers Empress' competitors to be other cruise companies, while she deemed land stays and air packages as complementary travel segments. Ng intends to learn through keen observation of the North American cruise market. 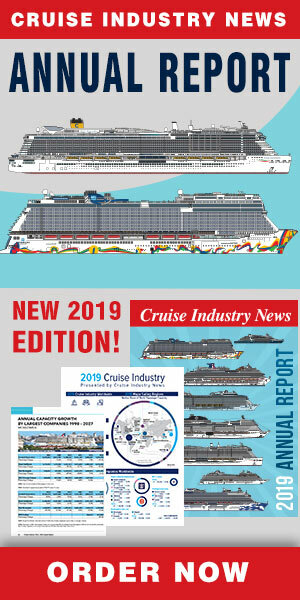 Some elements she hopes can assist in Empress' growth - as well as the overall development of Asian cruising - include: the development of on-board entertainment and activities, which she labels as "more discerning"; the network of travel agents throughout the U.S.; and the relationship between airlines and cruise lines. The negative factors of North American cruising are: loss of personalized service; a fixation on home port; a homogenized on-board product. "With the different languages and cultures of our market, it is necessary to be more heterogeneous," she said. One industry stigma already in place which Empress works to steer clear of is that overnight cruises are mere gambling junkets, Ng said. 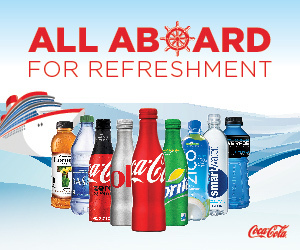 "We run a lot of theme sailings and promotions and our on-board entertainment is the talk of the town. "Our research shows that the percentage of overnight passengers returning for longer cruises is high. Therefore, our overnight sailings stimulate market growth and education," Ng noted. "We try to distance ourselves from those vessels that conduct overnight gambling cruises by positioning our company differently," she added. However, noted Ng, Malaysians and Singaporeans are "quite cruise savvy." To Empress' experience, she added, Singaporeans are demanding and harder to please, while Malaysians are "discerning, but easier to please... and (they) know how to relax." She noted that, in general, Hong Kong clients and Taiwanese are also more demanding, while Indonesians and Thais are "very easy to please." With Japanese and Korean customers, Ng said, there are some language barriers to overcome. Although Ng would not disclose any details, another vessel may be imminent for Empress, since The Empress is on charter from ISP for two more years. She added that discussions are underway for a purchase, although she did not elaborate whether this was to buy The Empress or another vessel.